Every great campaign starts with a solid foundation. 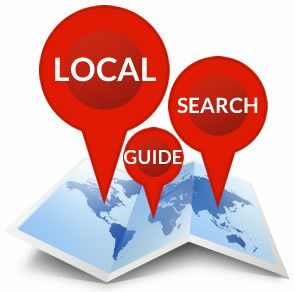 In this section of our Massive Guide to Local Search Tactics you’ll learn the basics of how you can establish a solid base for your local marketing campaign. Many of the local tactics presented here are geared toward totally new businesses, but if you’re marketing an established business and have the option to implement a change that helps solidify the base, then don’t hesitate. Many of these tips can make or break a successful campaign. Keyword research drives everything. Many people will say that local search starts with Google+ or building out your NAP, etc. I’m going to suggest that you start at the very beginning with thorough keyword research. To do everything mentioned here effectively you need to know which keywords and phrases are priority. You may think you know what words your customers will use to find you, but more often than not, you’ll be wrong. At a minimum you could be limiting your possibilities and opportunities. For example, If you’re a lawyer, should you call yourself a lawyer, attorney, law firm or something more specific? Only keyword research will give you the answer and it can make a big difference in your overall results. If you’re just starting out, consider establishing your business name using your priority keywords. It’s not easy to change things later and you definitely don’t want to tweak your official business name later to insert keywords. So consider (for example) calling your new business Bob’s Cake Bakery and Cookies instead of Roberto’s Fancy Sweets. Bad examples but hopefully you get the idea. Now that you know your priority keywords from your keyword research and you have a business name that’s chock full of keywords, you need a website address. Without making your URL too long, consider having your keywords in your URL. Even if you could get a simple URL like bobbys.com, consider a domain that’s more descriptiive and longer like bobbysbakery.com. Tip: Having one dash in your URL is ok. Two dashes is pushing it. 3 is spammy and not ideal. Make it easy to remember. Tip: Register your domain through GoDaddy.com and use a promo code. They always have discount offers. Don’t even consider using a P.O. box. when you’re promoting and distributing your business information. Don’t do it. Ever. You must have a physical mailing address within your city. End of story. You’ll have a much better chance of ranking in the local listings vs. businesses on the outskirts of the city if you have a physical address in the center (the centroid) of your primary city. It’s not a huge factor anymore but every little bit helps. Tip: Use Google Maps to determine exactly where this is. There’s something to be said about having a toll-free number but if you’re trying to connect with local customers you should focus on your local phone number as much as possible. It should be everywhere, on every page of your website, and distributed aggressively on your citations. It’s a major ranking factor. I would even go so far as to speculate that having a toll-free number on your site might dilute your local focus in the eyes of Google. Make sure that your local phone number is consistent and everywhere. An important part of developing a successful local SEO strategy is deciding how you’ll measure success. Local success could mean many things depending on your objectives. The point is to get everyone on the same page from the start and decide what the goals are and ultimately how success will be measured. Part of your keyword research should include researching the business categories that fit your business the best. The top level categories are a great place to start to determine the best broad keywords. Identifying the top categories will also help you learn how Google and other sites categorize your industry. In addition, in other tactics we’ll discuss later, you’ll be distributing your business information on secondary websites. Identifying the best categories ahead of time should be a priority. Use search suggest on Google and other sites like the Yellow Pages to identify more top level categories. If you’ve just started a business decide if there are any important local or trade memberships that you can establish. Even if you have an existing business, document your current associations and memberships because they’ll come in handy when distributing and optimizing your company information online. 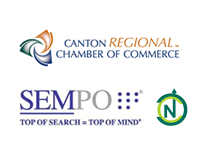 Do you belong to a local Chamber of Commerce? How about several chambers from the surrounding area? How about affordable industry associations or prominent memberships in your local business community. All of this information should be documented and distributed going forward so establish them now instead of later. You’ll need to decide which email address you’ll use when distributing your business information. This is important because you’ll need to claim many of your citation accounts using email. So if you’re an agency, consider setting up something like [email protected] so you have easy access to the account to do your job. You’ll also distribute a contact email for the business as well. so you should confirm what email address the business wants to use so customers can contact the right person in the future. NEVER use an employee, owner or partner email address. When they leave the company or retire (and they will) it will be a huge mess. You can always forward the email address but it’s not ideal. You’ll likely have opportunities to distribute links to your social profiles like Facebook, Twitter and Google+ as you go forward. Make sure that your accouts are at least established before you start — even if you’re not currently active. That way they’ll be in place and accessible from any citation source in the future. Ask yourself from the beginning how you’ll encourage and make it EASY for people to review your business online. If you’re developing a new website, how will you encourage reviews? Will you have a dedicated link, promo, page that explains all their options? When you distribute your business information, will you link directly to your page that encourages reviews? What is the link to this page? If you’re printing business cards, can you include a call to action to review your site online? Again, what’s the link? How about signs in your store, on receipts, etc? Encouraging reviews is important so think through your strategy at the start so you can effectively distribute the information going forward. Learn more about ways to encourage reviews here. Setup Analytics. It’s good for you. Seriously, Google Analytics is free and it will be a great resource to understand whether your local search campaign is successful in the future or not. You’ll know everything about your website traffic, where your visitors are coming from, what they’re using to search for your business online and ultimately if visitors are turning into customers.